A BOUNCY new bubbly from Chandon in time for the Festive Season is their non-vintage Brut that's a Chardonnay-led method traditionnelle that's based on the 2014 vintage, but comprises nearly 40% reserve wines going back as long as ten years. 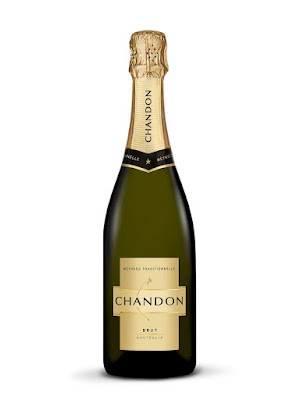 With flavours of citrus and orchard fruits and a light acidity, it's wonderfully vibrant and elegant and reflects just why their Brut is Chandon's most popular bubbly. At $32 this one's sure to prove a hit over the Festive Season. match with lighter Spring-time fish dishes. A WONDERFULLY crisp and refreshing 2016 Sauvignon Blanc from small family owned Shottesbrooke Vineyards at McLaren Flat in South Australia, makes for a great match with lighter fish dishes now that Spring is upon us. With gooseberry and tropical fruit flavours and a finishing citrus touch, this lovely drop from the Adelaide Hills should find itself in strong demand right through Spring and Summer when seafoods and salads come to the fore. And a nice $20 price tag makes it all the more enticing. so for those already well into their wine enjoyment. 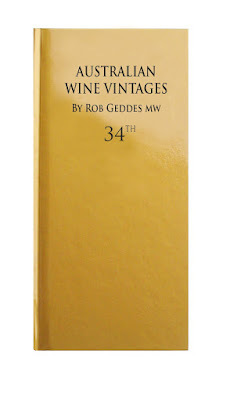 AN easy answer if you are wondering what to give that aspiring wine buff this Christmas, or even one already well into their wine enjoyment, is Rob Geddes informative Australian Wine Vintages 2017 that gives detailed tasting notes for over 3,500 Australian and New Zealand wines in the print version, and 13,500 in the App. 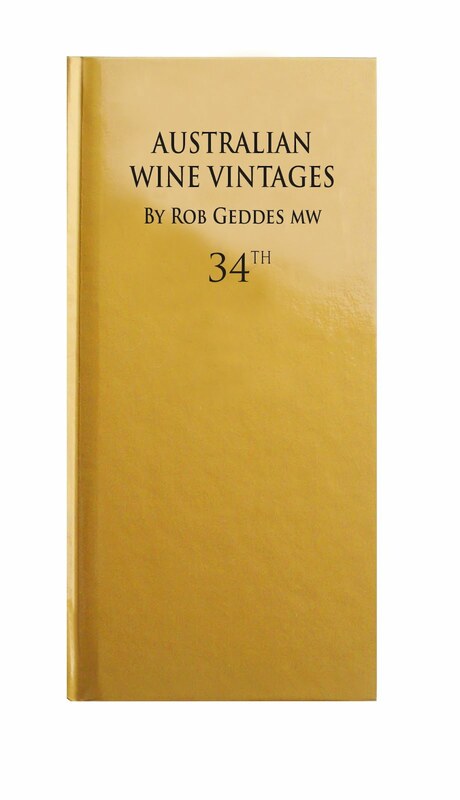 Now in its 34th edition, 'The Gold Book' as its also known, is a great guide towards exploring everything from wine country to the shelves of your local bottle shop, while being equally helpful in understanding wine varieties and the regions in which they are grown, and invaluable for those wanting to cellar and invest in wine. in the office or home party room this Festive Season. ONE TO NOTE: WITH the office Christmas party season about to kick off, Stanton and Killeen in Victoria's Rutherglen have released a sweetish Moscato that's not just good buying at $15, but is just seven per cent alcohol – or around half the norm, so is ideal for those wanting to watch alcohol levels in the home or office party room this festive season. Moscato is one of the world's oldest cultivated wine varieties, and this one from Stanton and Killeen has flavours of sweet honey coupled with suggestions of peaches and nectarines, a slightly zippy acidity and a light spritziness. And all of which make for an especially nice match in any party room with cheese platters. or with BBQ'd beef or spicy Asian and Mexican dishes. WAY back in the mid-1800s pioneer sheep breeder George Merriman put what is now the cool-climate Murrumbateman wine region on the map with merino wool he produced there and which quickly won world acclaim. 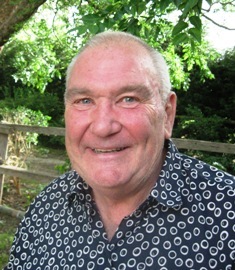 Today equal world acclaim is being heaped upon exceptional wines coming off vineyards that now flourish in that Murrumbateman region between Canberra and Yass, including those of Shaw Vineyard Estate that actually occupies part of George Merriman's original wool-producing property. And each year owner Graeme Shaw takes a particularly close look at the Merlot, Shiraz and Cabernet Sauvignon off his historic Estate, and decides just which of these three is the finest – and bottles it under a "Reserve Merriman" label in honour of the pioneering George. Graeme's just released his 2014 choice, which was the Shiraz from that year and which has wonderful balance on the palate between ripe berry fruits and varietal pepper and spiciness… and which is actually the first Shiraz he's released under the Shaw Vineyard Estate "Reserve Merriman" label. At $65 indulge it on its own, or with BBQ'd beef or spicy Asian or Mexican dishes. Thai fish cakes, lemon chicken or even German sauerbraten. ONE TO NOTE: A somewhat simple and impromptu "dinner party" of creamed and slightly-peppery mushrooms on toast for those who lingered on after watching the Melbourne Cup at a mate's home, will in fact be long remembered for one thing – our host's choice of a perfect wine to match this simple but successful offering. For he broke out a few 2016 Pepper Tree Limited Release Wrattonbully Pinot Gris, a wine whose lovely Nashi pear and fig flavours matched so stunningly with the creamy spiciness of those mushrooms. Winemaker Gwyn Olsen really has crafted a cracker drop with this one, and if you are after something more substantial than those mushrooms on toast, think about matching it with Thai fish cakes, lemon chicken or even German sauerbraten (pot roast.) And it is just $22 a bottle. (and aunts) who can fondly remember "another time." WAS a time when true gentlemen of this world always had a good tawny port on hand to offer guests at the completion of a fine dinner, or to bid them Good Night or Farewell as they made their way to bed or to home. And now Lindeman have released a wonderful new tawny to recall that era, offering with it a light-hearted set of rules reflecting yesteryear chivalry, and complete with guidelines to savouring this almost by-gone wine style. For, as Chief Winemaker Wayne Falkenberg says, "along with slippers and dressing gowns, fortified wines have become somewhat of a quaint tradition of yesteryear, a terrible shame for the generations who have missed out on this rich, luscious wine style." Part of Lindeman's Gentleman's Collection, this is an almost-must for those of us who can remember those days of yore, and a great idea as a Christmas gift for dads, grand-dads, older-era uncles (and aunts!) who can fondly remember "another time." A blend of four grape varieties from half a dozen vintages, and fortified with a secret select spirit, this Lindeman's Gentleman's Collection Tawny has lovely concentrated sweet fruit flavours, hints of spicy raisins, sweet maple syrup and a nutty finish. At just $22, it's ideal for under the tree this year for special someone's from another era. Sauvignon Blanc out of cool climate Tasmania. ONE TO NOTE: ALTHOUGH the first vines were planted only in the 1980s, Sauvignon Blanc has now become Tasmania's third most widely planted wine grape after Pinot Noir and Chardonnay. And a nice example of the quality that it's risen to is the 2015 Roaring 40s Sauvignon Blanc of Riversdale Estate in the Coal River Valley just 20km out of Hobart. For here's a wine that reflects a long growing season in the cool maritime climate, and the resultant tropical fruit flavours in small-bunch harvested fruit. At $24.50 this one's a great match with shellfish, grilled snapper or smoked salmon; check www.riversdaleestate.com.au to order online. of Coonawarra's exceptional 2013 vintage. WYNNS make their flagship John Riddoch Cabernet Sauvignon from only the very best fruit off their vast plantings in Coonawarra, and then only in those years when that "very best" is considered to have risen to a level considerably beyond the norm. And in the case of their latest release – from the wonderful 2013 vintage on the company's classic terra rossa soil vineyards – winemaker Sue Hodder used under one per cent of that very best of fruit for this wine. So little wonder some reviewers have already described the 2013 John Riddoch Cabernet Sauvignon as arguably "richer and more concentrated than any other wine from Coonawarra in that year." Named after pioneer pastoralist and politician, John Riddoch who established the Coonawarra Fruit Colony in 1891, this 2013 Cabernet Sauvignon is powerful yet supple and restrained, with wonderfully concentrated black olive and mulberry flavours, elegant tobacco and cassis, a hint of rosemary, and chalky tannins. With only limited production due to the grape selection criteria, this one has a $150 price tag to enjoy with a platter of hard and aged cheeses for Christmas, New Year or other celebrations, to share at the table with a rare to medium-rare rib-eye or sirloin steak, or consider as a very special Christmas gift for a VIP red wine buff.